Ergon Marine & Industrial Supply, Inc., (EMIS) recently received a visit from Rear Admiral Paul F. Thomas, Commander, Eighth Coast Guard District. 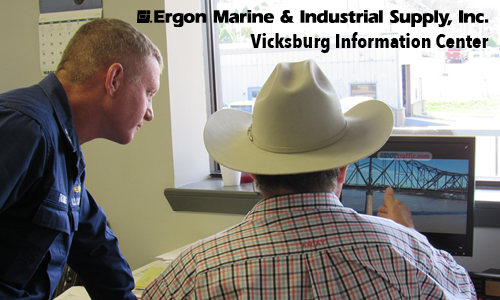 Admiral Thomas came to view, firsthand, the operation of the Vicksburg Information Center (VIC), which EMIS has sponsored and overseen since 2011. 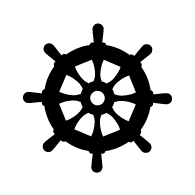 The VIC allows EMIS to monitor traffic, communicate with vessel personnel, and respond quickly to water-related incidents along the Mississippi River. Among those to welcome the Admiral were Ergon Founder Leslie B. Lampton, along with Ergon Board Member Lee Lampton, EMIS President Kirk Latson, Vice President Danny Koestler, and a host of EMIS employees. EMIS has received much recognition for its relief efforts, including the 2016 Meritorious Public Service Awards presented by the Department of Homeland Security and the United States Coast Guard. This award was given in honor of the company’s dedication to public service, specifically their efficient responses to both “high and low water-related incidents on the Mississippi River,” as stated on the award certificate.